I found today in my mailbox a publication called 'MY VOLVO Magazine' which Volvo is mailing in Luxembourg and Belgium for free to their customers. This magazine is published by Volvo Car Belux, Gent (B). This edition for summer 2014 features a double sided article on page 30 and 31 explaining Lennart Ekdahl's job. Lennart is from Sweden and he works for Volvo where he is in charge of every official Volvo scale model. Every newly released Vovlo scale model passes trough his hands. And they are only manufactured if Lennart has accepted and approved the pre-production model which every manufacturer has to send to him. This article is in French and gives mostly explanations about the way Lennart is contributing to get quality scale models from the various producers around the world. There are also a few lines dealing with the latest concept cars which Volvo is also offering as scale models. You might prefer reading this English article which appeared some time ago in one of Volvo's official blogs : wedesignvolvo.tumblr.com/.... That article is older but explains very much the same content. We Design Volvo is dedicated to communicating thoughts and inspiration of Volvo designers. This is our way of giving you an insight into the background of how a Volvo comes to life. The people posting on We Design Volvo are designers at Volvo, and the message should be viewed with that in mind – the thoughts expressed on We Design Volvo are those of the person posting, and not of Volvo. We love inspiration and interaction and aim to keep We Design Volvo according to those principles. Please be polite. The number forty-three in the Volvo Collection by Editions Atlas is the Volvo 855 T5R from 1995. I'm convinced that most are pretty glad that this model made it into the Volvo Collection. 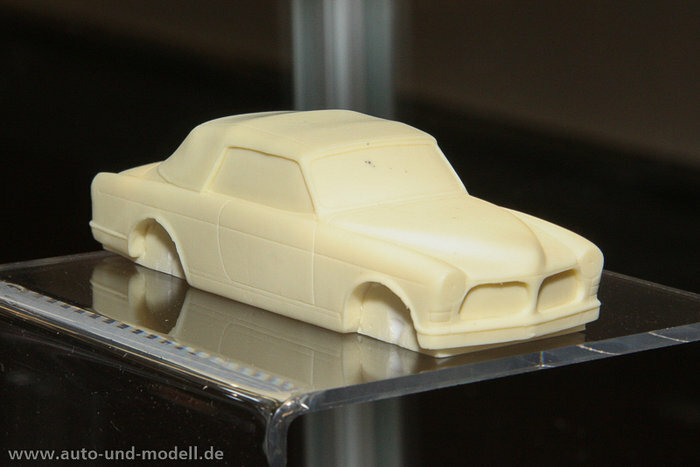 I don't think that I need to present this emblematic Volvo model to the fans which most of you certainly are. Volvo's marketing gag to let run a station wagon in the BTCC (British Touring Car Championship) resulted a year later in this pretty fast road car. The 850 T5R was in fact a fully loaded T5 version which featured every possible option Volvo offered at that time. But that was not the complete deal. The T5R versions came with a couple more options as well as a slightly modified front and rear end. These cars were also closer to the asphalt and had an even more powerful 5-cylinder engine. Each car came with exclusive and great looking anthracite colored 17'' rims called Titan. I can remember myself that the only possible option for Luxembourg was the automatic gearbox for nearly 2000 € back in 1995. The Volvo 855 T5R has even today - nearly 20 years after its debut - a very big fan community all over the world. Premium-X has finally released two new models which they had already announced June, 2013. The two new tooled models are the Volvo ÖV4 in black and the Volvo 142 in dark green. Both are now available as 1:43 scale diecast models. The Volvo ÖV4 who is very often also referred as Volvo Jakob has so far rarely been offered as scale model. The Volvo 142 had the same destiny in the past. The Volvo Jakob was the first car ever made by Volvo. The car dates back to 1927. The Volvo 142 reflects a model from 1973. The 142 features a nice two-tone interior. The regular retail price for these models is 32.95 €. The item number for the Jakob is # PRD291 and PRD292 for the Volvo 142. These 1:43 scale models have recently also appeared as models of the Volvo Collection by Editions Atlas. Ixo is in fact producing the complete model line for that collection. The versions offered by Premium-X come packed in a cardboard box and feature more details, decals, tampon prints, photo-etched parts, etc.